There are many reasons why we should dress our bathroom windows, with privacy featuring top of the list. If you fall in this category, have a small bathroom and want to keep it as private as possible, avoid semi-sheer curtains or blinds, they will be see-through at night when the lights are on! 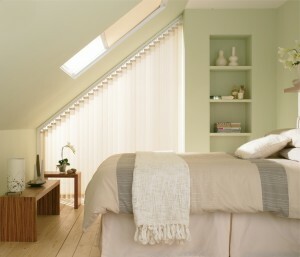 Instead, opt for a blackout roller, bottom-up or roll-up blind. Just remember that when choosing fabric for a blind, you must to take into account the high levels of humidity in bathroom! How about if you want to make a real statement in your recently decorated bathroom? Well, you can always combine practicality and wow factor with a fabulous roller blind (if you have a small but perfectly formed bathroom) or (if you are lucky enough to have a large bathroom) have curtains. 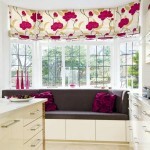 There as some fabulous Roller Blinds in the market that will do just that! .With the advances in digital photography it’s now possible to pick almost any photo and have it printed into a roller blind that’s is totally customised for you. 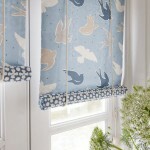 Simpler still, is picking a blind that’s already available, we love Artylicious‘ gorgeous range of printed blinds. 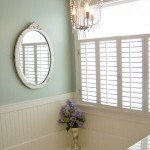 How about those who prefer Shutters? Until a while back, shutters were only splash proof and not waterproof. That’s a thing of the past and Waterproof Shutters now come in an array of colours, shapes and sizes. 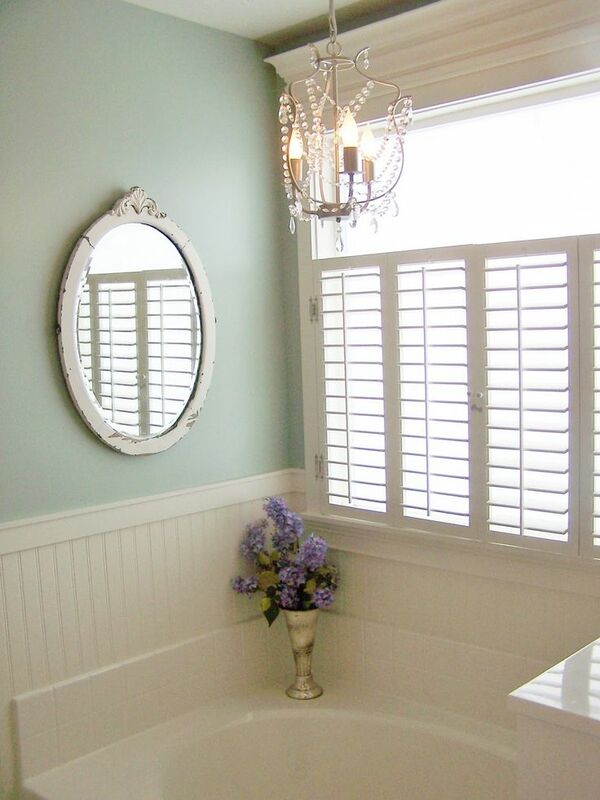 Shutters by Design use Permawood, which is constructed with engineered hardwood then coated in an ABC (Acrylonitrile Butadiene Styrene) plastic. This co-polimer coating is said to be extremely tough and durable making these shutters dead easy to maintain. What other options are there? Well, for a simple, easy, customisable and affordable bathroom window dressing there is Frosted Glass Effect Window Film. 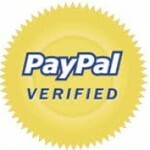 It’s opaque and available in sheet forms so can be bought imprinted with various patterns. It can be cut to the size of your window pane and smoothed into place, creating the look of etched glass. Although frosted glass effect window films don’t provide complete privacy, they are easy to maintain and will not block any light from coming into your bathroom. It’s well worth checking Decowall’s range, we sure were impressed by it. I like working with bay windows. They vary so much in size and shape that no 2 bay windows are ever the same and this is precisely what makes dressing a bay window so challenging.What ever window treatment you choose it is important to work with your windows and not against it. Don’t disguise or hide them in any way. Make the bay area a focal point, bring it into the heart of your scheme and make sure that, as well as looking good, the bay provides comfort and extra storage space. This type of project requires skill. I suggest you call in a professional! A good carpenter or joiner should be able to build a window seat that is both stylish and functional. You can finish dressing the area with Roman Blinds for a tailored, smart look. 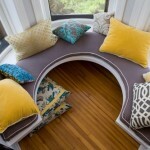 Add a few cushions to the seat, a small side table and all you will be missing is a good book and/or a glass of wine! 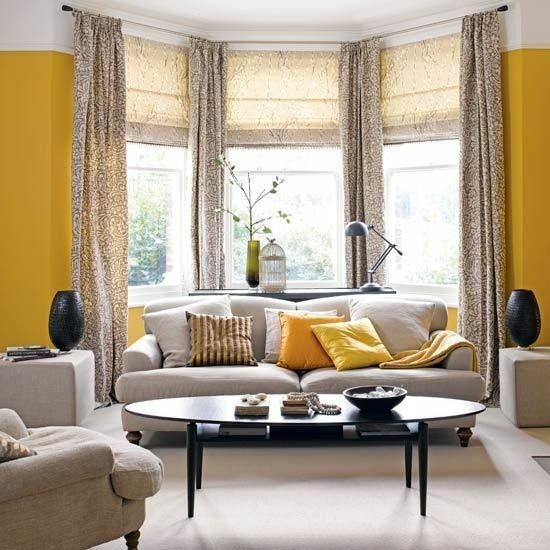 A window seat can work very well with most bay windows including Square Bays, Bend Bays or Semi-Circular Bays. Go ahead, celebrate your bay window! Give us a call on 07788 275 451 and we’ll tell you what is the best way to make the most of your bay window too! • Window Angles – they are pretty tricky to measure up and overcome. • Curtain Poles – we all love curtain poles but can your choice of pole be used in a bay? Can it be bent to to the exact shape of your window? 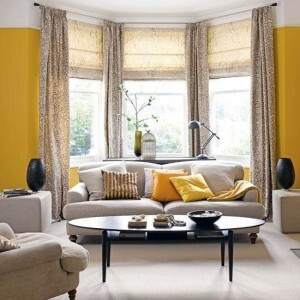 • Curtain Lengths – full length curtains are still, by far, the most popular choice but how about heat? Will it trap the heat from your radiator between the curtains and the window?? It’s fair to say that the list of things to think about before choosing your bay window treatment is rather long, isn’t it? Fortunately there are plenty of options available to dress difficult windows nowadays, and one of my favourite is choices is combining the practicality of blinds with the look of dress curtains. 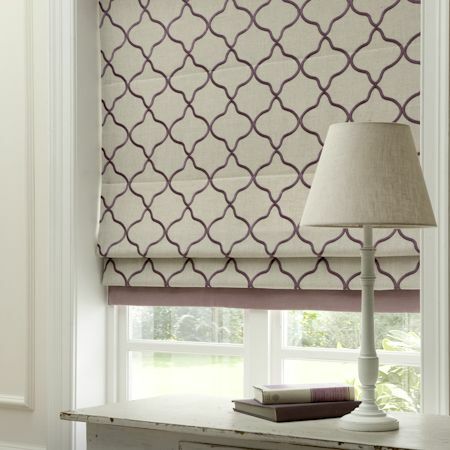 Roman or indeed Roller Blinds can be a contemporary and simple solution for bay windows. When combined with curtains, blinds will add the extra privacy we all want whilst allowing the curtains to provide the finishing touch, framing the window and adding a smart, cosy look to the room. 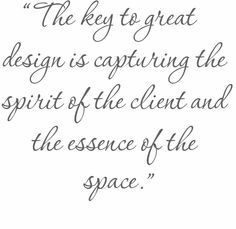 If impact and drama is what you are after, you could always combine a larger pattern with a more tamed tone-in-tone colour to bring the look together. The curtains can either be left ‘standing’ or can be arranged to hang on holdbacks for a more dressed look. 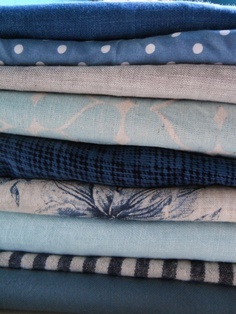 Coming up in part 2: Roman Blinds and a Made-to-Measure sitting area for Bay Window. Don’t miss it! When choosing what to do with your windows, keep these Dos and Don’t of Window Treatments in mind, you might find it rather helpful! 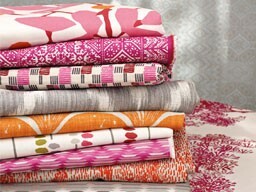 Be absolutely sure you are happy with your choice of fabric, especially if it’s bright and bold. 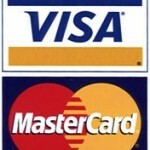 Remember you have it for at least 10 years. Have curtains over windows that open inwards! Buy less fabric by ignoring pattern matching…. Never!